Let us consider an unfortunate truth: The Didact probably won’t be in Halo Infinite. We last saw the Didact in the The Next 72 Hours arc of Halo: Escalation, which, puzzlingly, concluded with him being Composed – despite stating in one of Halo 4’s Terminals that it would not work on him. With his future uncertain, I thought it’d be interesting to reconcile this apparent contradiction and find a satisfying answer to why the Didact can be Composed, and why his probable absence in Infinite might be a good thing for fans of the character. 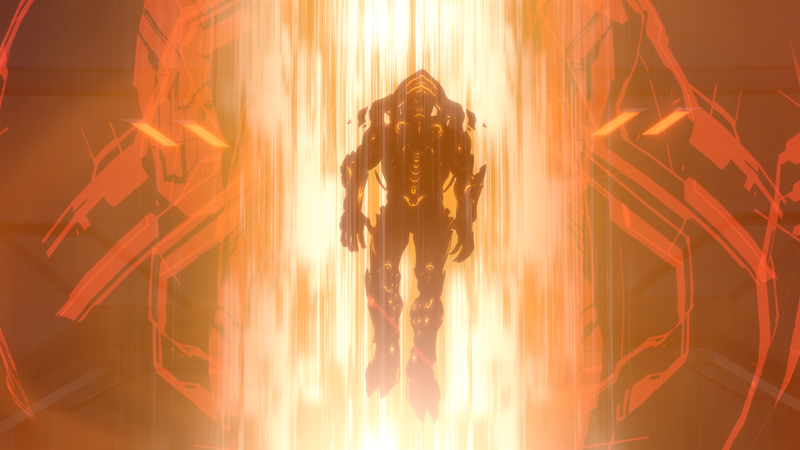 At the end of Halo 4, the Didact fell into the slipspace abyss under the Composer; his destination, unknown. This story reveals that the Didact was sent to Installation 03, near the Composer’s Abyss (a nightmarish underground ‘storage’ facility for the victims of the Composer), where he quickly sprang into action to continue pursuing his plan. At a planed called Clinquant (also known as the Composer’s Forge), where the devices were created, there were six Composers waiting for him which he planned to use in-concert with Installation 03 to wipe out humanity. The implication (though not explicitly confirmed) is that this would alter the Halo’s firing method, making the ring a giant Composer that would then be taken to fire on Earth. Of course, this plan was stopped by the Master Chief – now reunited with Blue Team – as he confronted the Didact in Installation 03’s control room where he disabled the ring’s security protocols with the Index. This allowed part of the ring to be ejected and was sent on a collision course with Clinquant, destroying the other six Composers. 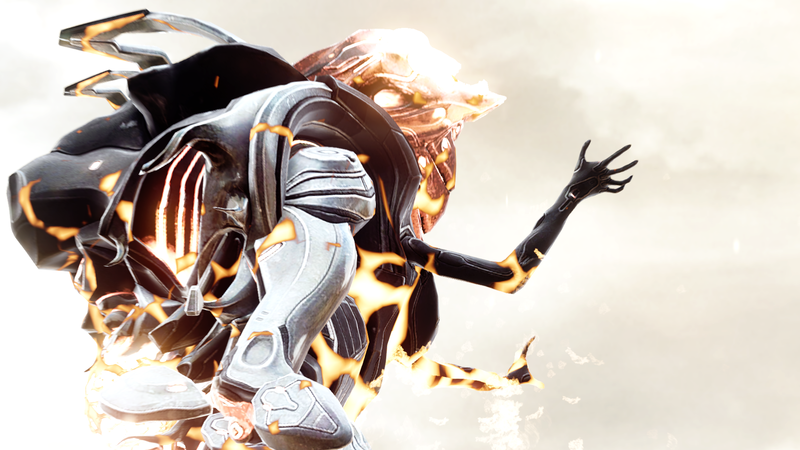 Before these Composers were destroyed, they were used on the Didact – disintegrating his biological form and turning him into a digital essence, like the people of New Phoenix. In the fifth Terminal of Halo 4, there is a specific line of dialogue that contradicts this being a possibility. Is the Didact immune to the Composer, or isn’t he? We do, as a matter of fact, have some sense of an answer from Brian Reed (who has previously stated that he wrote this Terminal for Halo 4) in the commentary of Halo: Escalation’s first Library Edition. “In Halo 4 we explicitly state the Composer has no effect on Didact or Chief for that matter – thanks Librarian. What we see here isn’t a standard Composer usage by any stretch of the imagination. This is six plus Composers detonating all at once, their energy expelled in an uncontrolled manner. He’s not ‘Composed’ in the traditional sense because there is nothing there to process him. This explanation is one that many did not find to be satisfying, particularly since this single paragraph of clarification came two years later. Since then, fans have turned to toy descriptions in Forge and adult colouring books for slivers of assurances regarding the Didact’s current status. On top of this, the explanation given – that several Composers exploding did the trick – is one that is not made at all explicit in the text. Many assumed that the Didact was simply dead at the end of this comic, and the way it’s conveyed (along with the character’s absence in Halo 5) made that a wholly reasonable reaction. The context is important, but I don’t want to dwell on the criticism because we’ve covered that extensively over almost five years. No, this is about making this explanation work. Let us return to Halo 4’s fifth Terminal, where the Didact states that the Composer will not work on his new form. For those of you who have read the Forerunner Saga, you will be familiar with what has happened to the Didact here; for the uninitiated, this is a moment of great importance. Mutation is a process integral to an individual Forerunner’s maturation – ‘customising’ them through genetic and biochemical engineering to better suit their role in their caste-based society. This expanded their physical and mental capabilities, with Forerunners typically undergoing at least two over the course of their lifespan (some having five or more). It is what enables their minds to access the Domain. Adolescents who have yet to undergo the process of mutation are called Manipulars, identified as ‘Form Zero,’ which is where we begin with Bornstellar in Halo: Cryptum. Cryptum explores this concept in some depth, as Bornstellar finds himself on the cusp of maturity. Circumstance necessitates his advancement in order to access the Domain, as well as the wealth of memories and the wisdom of his mentor – the Didact. Mutation is not simply a matter of physical alteration, but a deeply spiritual process where a Forerunner’s mental state and perspective factors into their development. The Mantle – the exalted task of guardianship over life – is the beating heart of Forerunner society and culture. In order to uphold the Mantle, a Forerunner must be spiritually aware of the ‘cost’ of their existence on the universe. Awareness of that cost, of their privilege, arouses guilt within them that is necessary for their maturation. As such, the Didact performs what is called a ‘brevet mutation’ on Bornstellar; a riskier, ad hoc method of advancement. Typically, a Forerunner would receive the imprint of their immediate relatives. 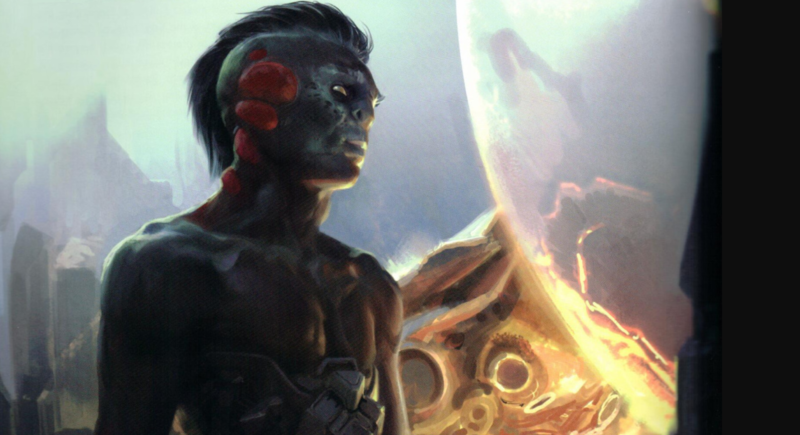 The Didact warns that, in accepting his wisdom, some details of Bornstellar’s development may be lost or distorted – replaced by the Didact’s own. 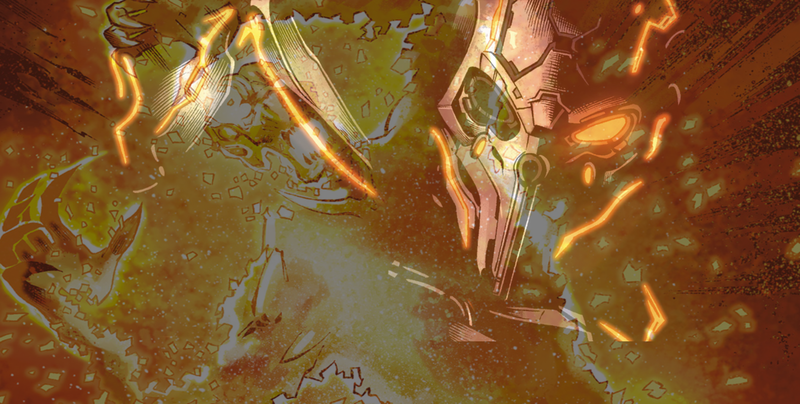 The Didact himself feels uncertain about providing Bornstellar with his imprint in Cryptum, as he considers all that he has done and how far it has carried him away from the Mantle. The Didact inspected me and for a moment, in that great stone visage, carved or artfully mauled by history and grief, he lifted his lips and almost smiled as if he were still young. I did not know that was possible. “Touched by your blade, Manipular,” he said. Over the course of the Forerunner Saga, Bornstellar ‘becomes’ the Didact (eventually being dubbed ‘The IsoDidact’), and it’s not until the end of the war with the Flood that he reclaims aspects of his original identity. Mutations can be botched. 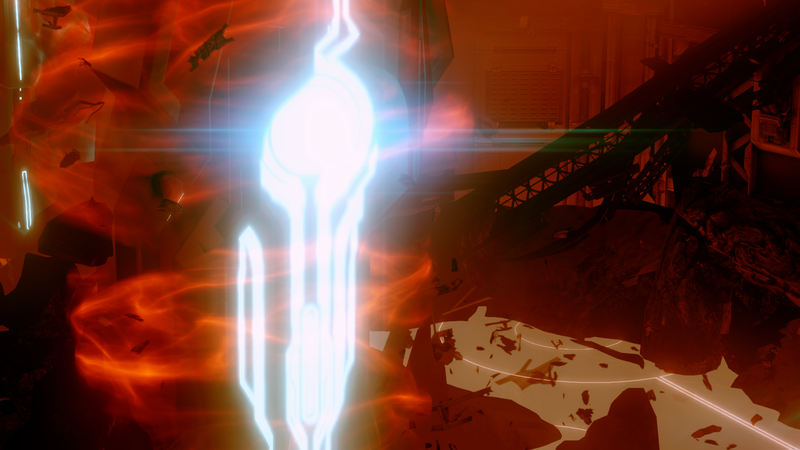 Circling back to the Terminals in Halo 4, the Didact is visually depicted at a number of points in his life. These events span the early years of the Human-Forerunner war to his eventual imprisonment in the Cryptum within Requiem. It is in the fifth Terminal that the Didact’s appearance changes significantly to what we see in Halo 4’s campaign. 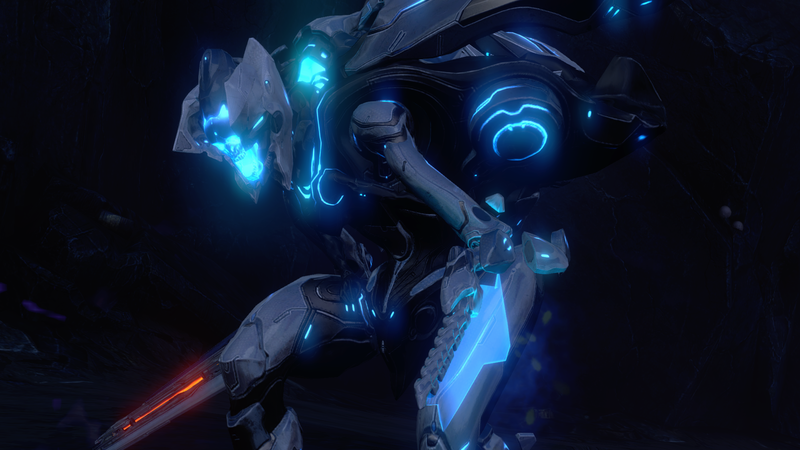 For those who might need to be caught up on the timeline here: this occurs during the events of Halo: Silentium, after this Didact (now referred to as ‘The Ur-Didact,’ the original – previously thought dead) has encountered the Gravemind. The Gravemind branded the Didact with an organic form of the Logic Plague; a philosophical corruption. The exact nature of this corruption is illustrated as filling the Didact with the same passion for vengeance the Precursors learned when the Forerunners wiped them out ten million years ago. And so, before losing himself completely, the Didact – looking for a solution, any solution, to defeat the Flood that didn’t involve using the Halos – performed a brevet mutation in an apparent attempt to make himself ‘immune’ to the Flood. More likely, this was an attempt to rid himself of the Logic Plague. Instead, the Gravemind-induced philosophical corruption manifested physically in his appearance; a visual indicator of how far he has strayed from the Mantle. 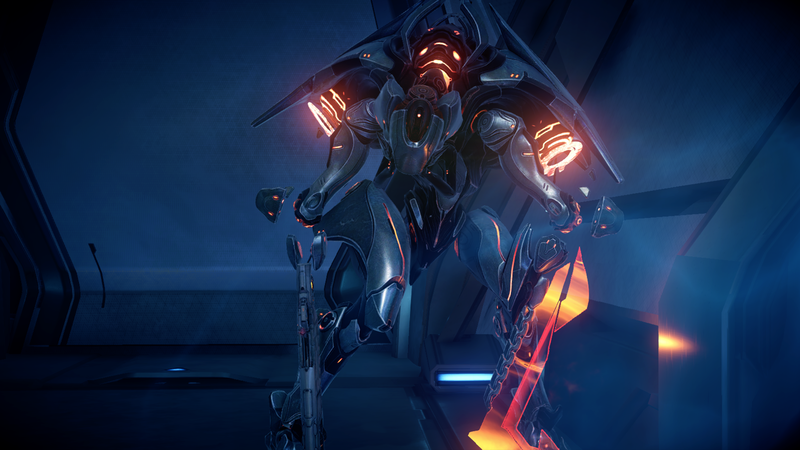 The Didact’s skin turns sallow, eyes deep-sunk and empty; he grows fangs, a sure sign of his distance from what Forerunners hold sacred as they are forbidden from eating meat. His existing prejudices are exacerbated and his perspective on the Mantle changes from self-sacrificing and noble duty to racial supremacy. At the end of Silentium, his words – relayed to the Librarian by his lieutenant, Endurance-of-Will – begin to echo the madness of the Gravemind itself. “…the beings we create shall never again reach out in strength against us. All that is created will suffer. All will be born in suffering, endless grayness shall be their lot. Thus, it becomes clear that the Didact ‘failed’ this mutation because he has strayed from the rigid philosophical discipline – acceptance of the Mantle – required to advance. In this, he is well and truly lost. You might note that the Composer wasn’t mentioned once in the previous section. That was deliberate. Returning to the question of how exactly the Didact can be Composed, despite saying it won’t work on his new form, the answer is a simple one. Sometimes, that’s what the best answers are. In failing his mutation, he knew that he was further from the Mantle than he’d ever been – something he feared as far back as Cryptum. Worse still, he knew that he was afflicted with the Logic Plague. The Didact could not undergo this process because it would also convert the esoteric form of the Logic Plague he carried with him. Indeed, the Composer is a device the Forerunners were never truly able to understand (as it utilises the Precursors’ arcane neural physics); previous attempts to use it on victims of the Flood proved… horrifying. These large, ugly machines had originally been designed by Builders in a failed attempt to attain immunity against the Flood. Composers broadcast high-energy fields of entangled sympathies to gather victim mentalities – essences – and then translated them into machine data. In the original scheme, new bodies were constructed, and the subjects’ essences were imprinted over them – minus any traces of Flood patterns. What this ultimately means is that the Didact had to remain as he was – in his organic form – in order to command the Prometheans. If he’d been Composed along with the rest of his loyal Warrior-Servants, his plan would’ve failed before it could even begin. The Logic Plague would’ve infected them all. I like this explanation because it brings things down to a character level and can be used to tell us something about the Didact. The Composer is a plot device with nebulous ‘rules,’ used as a means to articulate Halo 4’s themes of mortality; accentuate the horror of the Forerunners’ (now the Didact’s) impact on the setting, and the loopholes they exploited in the Mantle. It’s a very well-conceived MacGuffin that is used brilliantly in the Forerunner Saga and Halo 4, but when you tie too much of your story to a device, that’s the point you risk confusing people and losing their interest. It’s a bit much – and that’s just the framework of the plot. One has to ask: what has this achieved? What should be taken away from this is how important it is to have your story driven by characters – by their actions and their fears and flaws. The most interesting part of The Next 72 Hours is where the Chief and the Didact are in Halo’s control room and get to talk, at last, on each others’ level – the Chief stating that he would fire the ring just to kill the Didact. Solving the Composer conundrum of the Didact’s ‘fate’ by having him lie says something about the Didact as the person he’s become. He knows he is compromised, but lies to his Prometheans. He lies to the soldiers he has led for thousands of years because his own motives have transcended his fellowship with them. Unlike Bornstellar, he could not accept his flaws in order to transcend them. He believes the only way he can get better is to loose damnation upon the stars. This is all well-and-good with its application to the Didact, but what about the larger implications for the worldbuilding around the Prometheans? Well, this is where you can play about a bit with the ‘rules’ of a device to substantiate a character. At several points in Halo 5, there are Promethean Knights with a rather interesting animation loop where they are in a frantic and depressed state. They swing their arms wildly, hit their head against the wall, and hold their head in their hands. One can observe this in Unconfirmed (as you approach Blue Team’s Prowler) and in Exuberant Witness’ ‘zoo’ in the final mission, Guardians. It’s a brief and rather horrifying glimpse at the humanity within the Knight, trapped within metal and madness, something that I feel hasn’t yet been explored to the extent it should’ve been. These ‘self-aware’ Knights? I don’t think they’re… uncommon. The mind is a complex thing and – as I noted earlier – the Forerunners didn’t entirely understand how the Composer works. The Composer is one of the few non-Precursor devices that exploit neural physics, the peculiar science of that most ancient of species which defied Forerunner understanding, even after millions of years of study. The high-energy fields of entangled sympathies emitted by the Composer envelop any living being with a sufficient complexity to resonate with the device. This leads us back to one of the opening lines of Halo 4. The man/machine theme of Halo 4 operates on a small-scale with its exploration of the relationship between John and Cortana; on a higher level, it expands to the parallels drawn between the Prometheans and the now mass-produced Spartans. A child’s mind would be more malleable; they are easier to ‘wire,’ to be programmed into these war machines… so they make for better Knights. The Promethean Knights comprised of Warrior-Servants who willingly submitted to Composition did not have any issues because they were at peace with what the Composer would do to them. Naturally, this results in a comparison to be drawn with the Forerunners’ process of mutation, where advancement is only possible with a certain perspective and acceptance of the Mantle. Such a wealth of potential still exists for the Prometheans that I would very much like to see fulfilled (and there are certainly people at 343 who feel the same), but that really comes down to the appropriate format for these kinds of stories. There is, after all, only so much the games can convey with something that is largely psychological. Compare Jacob Keyes’ mental struggle with the Gravemind as it’s presented in Halo 1’s campaign, where we’re locked to the Master Chief’s perspective, versus how much that was able to be expanded on in The Flood novel adaptation and the Anniversary Terminal. Halo is an ever-growing franchise and it’s now at the point where it needs to be a lot more savvy about where and how certain stories are told. At the start of this article, I said that the Didact probably won’t be in Halo Infinite… and I think that’s a good thing. The Didact is simply not (yet) in a position where a story can be told with him that isn’t about him. This presents a bit of a problem because it narrows what the games can do with him as a character and the kinds of stories they can tell. Compare him to, say, Thel ‘Vadam, who can quite comfortably show up during the middle act of Halo 5 as a major character without too much baggage weighing down his role. Indeed, this is largely considered to be the best part of Halo 5. Thel has had a strong, complete arc in the original trilogy (despite the initial hatred from the fanbase towards him in Halo 2) that has brought him to this point. Over the years, books and Terminals have further expanded on aspects of his character and backstory that are not necessarily essential knowledge. A more recent comparison is 343 Guilty Spark, a character established in the games who has had his story continued in the expanded universe – from the Terminals of Halo: Combat Evolved Anniversary, to Greg Bear’s Forerunner Saga, to Kelly Gay’s Halo: Renegades. Much of the narrative and emotional baggage of Spark’s story has now been dealt with, giving him a new beginning which leaves a lot of doors open in terms of how he might return in the future. The Didact is a bit more complicated. Established far back in Halo 3’s Iris ARG and (damn near unreadable) Terminals; his backstory was explored deeply in the Forerunner Saga, leading up to his debut in Halo 4… only to have his story picked up again and shelved in a comic. We’re just not ‘there’ yet with him. But, looking at the bigger picture, that doesn’t mean it should be brute-forced into Infinite. I think it would be a mistake to frame this as some sort of ‘obligation’ to 343, that this is how they must ‘make up’ for those missteps, only to be disappointed that Infinite can’t really tell the kind of story that is demanded by the Didact. Something also worth noting is the fact that the Didact doesn’t really have any relevance to Halo Infinite’s setting, Installation 07. 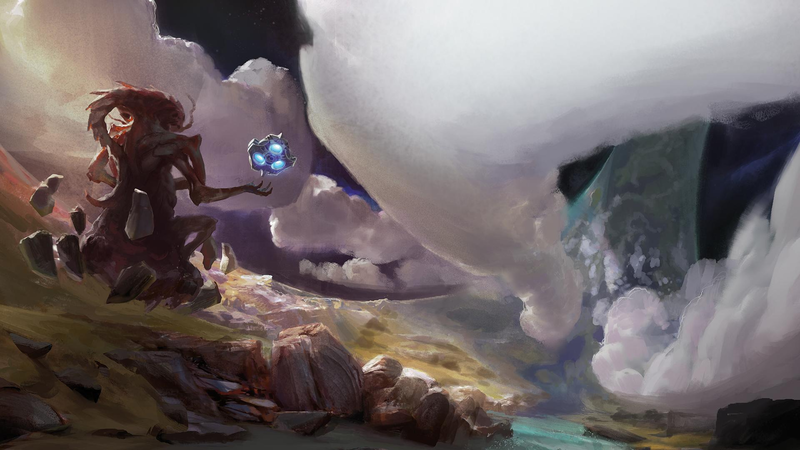 This unique Halo was the explored in Halo: Primordium – the Forerunner Saga’s second book – and the Didact is almost entirely absent. He’s only peripherally relevant, appearing in some select flashbacks to the Human-Forerunner war. With Installation 07, there are a lot of other mysteries to explore and I can’t help but think that it might be better for the game to accentuate that history by not having its Forerunner element personified by a specific character. A number of people consider the expanded universe to be ‘story jail’ for characters and storylines that don’t necessarily ‘work out’ in the games. That is an earned cynicism in some respects, but I’m not entirely convinced by it. One of the fundamental issues Halo 5 had was that it had to juggle over a dozen major characters; it didn’t have time to do very much with any of them. Ensemble stories in the Halo games very rarely work well and I think it’s in 343’s interest to really scale that down. That means coming to terms with the idea that certain characters we’re invested in might not have room to appear in Halo Infinite. When our hopes and wants for certain characters and stories gets too specific, too granular, we can only be let down. Consider, instead, the bigger picture: the expanded universe provides a platform to tell the stories of these characters where they can get the kind of substantial focus the games can’t always deliver. Halo: Renegades is definitive proof of how well that can work. That, I think, is the kind of treatment the Didact needs. As far as his future is concerned, well… some ideas that could be picked up on have certainly existed – at least conceptually – since Halo 4. One thing is for certain, as the Ur-Didact admits in a conversation with the Librarian that he has communicated – in some fashion, through the Domain – with Forerunners in the future. “What about our descendants?” I persist. The Domain violated its own rules, as it is sometimes known to do, to show the Ur-Didact the future. It showed him that, in some way, the Forerunners do go on and survive. The sorrow that flashes through her eyes instantly pains me. She stares off into nothing for some time before gracing me with a soft look. “Then, perhaps . . .” “Bastion?” I ask. Her tender smile fills me with love and finality, and I see that she does not believe she will ever make it there, or perhaps anywhere she might recover and rest and find peace at last. The nature of these things is no clearer. Not yet. But the pathways are open. In time, they may converge to become whole again. Silentium. To close this article, I’ve got a short story for you – an excerpt from a larger story I did last year which formed the basis of this theorycrafting piece. After all, it’s one thing to criticise, but I like to substantiate my own take on things by going a bit further with some creative writing. I thought I’d do something a little different and (due to what I am both surprised and delighted to say is popular demand) narrate it with my best impersonation of the Didact’s voice. You’ll have to pardon how amateur the result is, but it was a lot of fun to do. The Didact could not remember how many times he had died. He had died on the day he’d assumed his mentor’s pattern and wisdom, setting him on the path of the Warrior-Servant. He had died on the day he was no longer a father – when he placed the essences of his children into his War Sphinxes, their mental patterns, their final echoes, stored in time-locked Durances. He had died on the day he was exiled, when the Master Builder’s wicked words and cursed wheels won the hearts of the Old Council, knowing that their civilisation would fall to ruin. And he had died a thousand times since the day that it did, after he had been lifted out of the Domain by a child and brought into the Gravemind’s embrace. The Didact did not know who he was any more. Falling to the floor – bent double on his hands and knees, rasping from dehydration – he saw what the mutation process had done to him. Mutation was a ceremony that had to take place in the direct light of a star, but the light this galaxy offered was no longer one of warmth and welcome. Space itself was infected, in a way none could understand or explain, but every sentient being surely felt. The light shunned them now, driving them further into the darkness. Even their new capital had to be situated outside the galaxy. And even the Domain felt a deep shadow looming over everything Forerunner. All this and more was what the Didact saw as he looked into the reflection of his now deep-sunk eyes in a face that barely resembled the man he used to be; his skin creased and stretched like dried fruit left in the sun. Fangs had unexpectedly and painfully grown at the sides of his mouth; the Mantle forbade the consumption of meat, and so he understood this as but one of the signs of how far he had strayed from his centre – his Warrior soul. Something – everything – was wrong. A holographic representation of himself appeared as his body was scanned. As he expected, it almost instantly curdled and distorted with hideous red growths. “The procedure is a failure. I am still susceptible to Flood infection,” the Didact said, choosing his words carefully. For Flood infection, there was no cure. Of that much he was certain. But that wasn’t what the Didact feared. “That leaves only the Composer,” The Strategos approached. It was this old general, this grizzled ancient of the Kradal Conflicts, who had gladly supplied his mentorship to the Didact for his brevet-mutation. “It will not work on my new form,” he lied. Mutation required a certain spiritual acceptance of the Mantle. That demanded an awareness of what all life has sacrificed to allow you to be. One cannot advance without the profoundly personal guilt provoked by that fact. The Didact no longer felt that guilt. Such as it was with the Composer: a machine that could extract a living being’s mind – their mental patterns – and convert it into machine data, to be placed into digital storage. The device had been built on the esoteric principles of the Precursors’ neural physics, something the Forerunners understood only as science beyond magic. A sufficiently complex mind that was not at-peace with its extraction risked… complications. Worse still, the Didact knew what he carried within him. Were he to submit to Composition, he feared the Logic Plague would end his plans before they even began. And so, he would remain as he was – a monument to all his sins. Drawing it all together nicely Haruspis! I won’t lie and say I would not really LIKE to see the Didact in some capacity in Halo Infinite. Even if just for a short scene. Much as I like Grimbrother/Aka Catalogue, on the Halowaypoint forums, his claim that the Didact’s speech in Halo 4’s epilogue was a ‘suasoria’ (a compilation of what never was) was far from satisfying to me. Considering it as the Didact in the future pleading his case to modern Forerunners in Bastion seems far more satisfying – and would make a great epilogue for this or the next game. Having had things sidelined for so long, I guess I’d just like it if SOME aspect of his storyline was progressed, in the way Chakas/Guilty Spark’s was recently. Even with a dearth of post Halo 5 content, we at least get an interview (in Loot Crates) with Halsey, examining her reaction to all Cortana has incited. Anyway, none of that takes away from an EXCELLENT article, as always. Whilst I work to conclude my first Halo fanfiction (and settle in for a long wait until autumn 2020) I wish you all the best. I will likely be referencing the Didact’s ‘lie’ in some fashion as well, if that is proper. Your articles are always a pleasure to read. I think I’ve learned more about the art of story-telling through your pieces than I have anywhere else, including classes I’ve taken. I love the Didact as a character, and I remember the awe I felt at seeing a living Forerunner in the Halo campaign. The idea of the Didact lying about his immunity to the Composer raises very intriguing points about his character that you flawlessly raised and expanded on. I read your article about the Didact and Mendicant Bias taking the roles that Cortana and Warden Eternal had, but if I remember correctly you were working within the constraints of Halo 5’s narrative. If you could rewrite Halo 5 however you wanted, what would be the general plot?